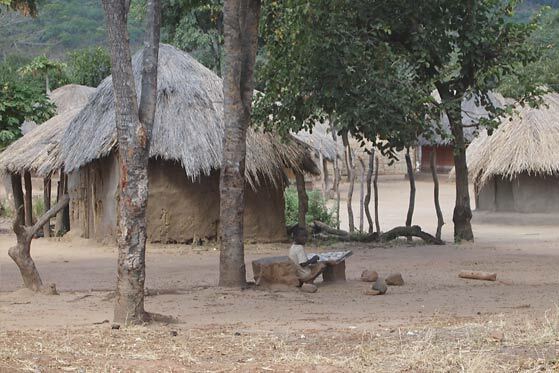 In Mambwe district the population is growing and agriculture changing as people move in search of fertile land for farming. Agricultural production and livestock population density have been increasing on the plateau. A shortage of arable land is further increasing food production on mountain slopes, particularly around large towns, leading to deforestation, soil erosion and flooding. These changes may be affecting tsetse fly distribution through loss of suitable habitat. 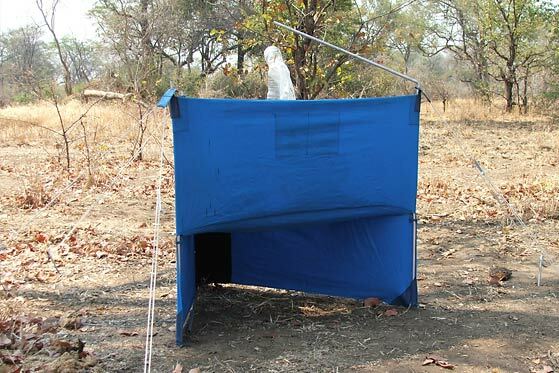 The flies are currently distributed in the northwest of the study site, closest to the Luangwa River and the National Park. This scenario envisages continued unplanned migration into the area, coupled with agricultural development leading to increased livestock keeping and more crops. The result would be continued deforestation leading to erosion and reduced soil fertility. The population would become vulnerable to crop-price changes. However, when turnover from agricultural products is good, there would be more funds for school fees, goods and other services. 'Reduced biodiversity and habitat degradation, with resultant changes in common wild species such as warthog and some shy species such as roan antelope. Tsetse density would be reduced, leading to a decreased risk of human infections. However, the flies could switch to livestock feeding as wildlife is reduced. If so, infection risk would increase for particular groups, e.g. farmers. This scenario envisages a hotter, drier climate, where water shortages could be a seasonal problem. Droughts could be more prevalent. Deterioration in people’s health and wellbeing would be expected, specifically as access to water could decrease, both in quantity and quality. A shorter rainy season could also affect crop production, leading to harvest failures. Health would be further affected due to various climate change health impacts, e.g. infectious diseases and heat stress. Biodiversity could also be affected, especially among specialist species endemic to the area. Drought, in particular, could alter wildlife composition, and the higher temperatures mean expansion of the tsetse fly range would be possible. The flies would be expected to move up the escarpment to other altitudes, increasing trypanosomiasis cases among people living there. This scenario envisages increasing farming of food staples, more livestock and intensification of livestock production, as well as the need for more mechanisation. Commercial farming and cash crops, however, would still be unlikely. The region would become more vulnerable to crop-price changes. However there would be more funding for local investments. Local people might also be increasingly marginalised as the majority may not be able to afford modern farming practices or technologies. The tsetse density would reduce, possibly with a switch towards livestock feeding. 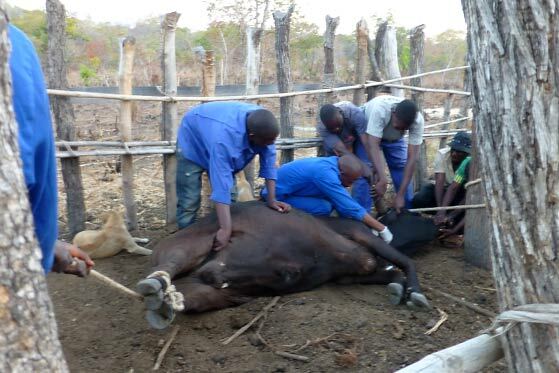 Altogether, there would be a lowered risk of trypanosomiasis in people, but possibly an increase in other zoonotic diseases such as tuberculosis and brucellosis, as farmers intensify their livestock production activities. Key impact: All-round improved health and wellbeing. This scenario envisages a focus on sustainable environmental management and sustainable habitat management, leading to a potential increase in activities based on conservation and preservation of vital ecosystem services. Examples include conservation farming with drought resistant crops and non-damaging practices, as well as sustainable harvesting of firewood. Generally, wellbeing would be improved with less disease and more wealth. There would be better veterinary services, leading to improved animal health. Farmers would be encouraged to use pour-on on livestock, leading to healthier livestock. Due to conservation activities there would be less marginalisation of local people whose natural systems do not involve livestock keeping. Human health would be improved, and not only in relation to trypanosomiasis. Better human and animal health could, however, lead to greater tsetse exposure as most farmers adopt more conservative farming methods, which exclude the use of insecticides and pesticides. Better human and animal health measures and interventions may though make the overall burden lower. Increases in sleeping sickness despite increased development, due to livestock replacing wildlife as the reservoir for trypanosomiasis. A similar scenario occurred in Uganda. 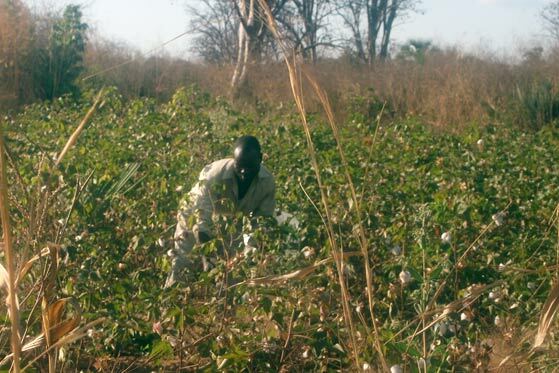 A modified landscape is suitable for tsetse habitat, where the insecticide used on cotton has no impact on the tsetse density, and cotton production is not intense enough so the tsetse habitat requirements are met. Land abandonment leads to increase in tsetse populations. First, sleeping sickness becomes an epidemic due to changing policies. This would lead to instability and changes in the system, tipping over of the burden of disease. Second, unplanned deforestation leads to massive ecosystem change. The loss of biodiversity here would lead to fewer tsetse flies, but at the same time also a loss of vital ecosystem services, especially as a result of soil erosion. The team in Zambia identified intensified agriculture as the major driver within their system. Their analysis differs from the others’ since some of the drivers are acting on their own without interactions, e.g. social change. Move the cursor over each driver, and see how they interact. To compare with another country go to the interacting drivers page. Dr Noreen Machila, University of Zambia (country lead); Catherine Grant, IDS; Dr Neil Anderson, University of Edinburgh; Prof Peter Atkinson, University of Southampton.